The barns and sign at the Potter Easement. ​When Harry E. Potter and his wife, Sharon J., reached out to OBI Land Trust in 2015, it was with one wish: to preserve the grasslands and pastures that have been in their family for more than 50 years. “Time is going by and we decided to do something while we still can to protect the land from being developed,” said Mr. Potter in February 2016 at the time the conservation easement was signed for their 46-acre property. Mr. Potter had a nearly 30 year career as a soil conservationist for the U.S. Department of Agriculture. Sadly, Mr. Potter passed away in December 2018. The Potters moved to the Perch Lake Road farmhouse in 1967 and would spend decades raising three children and countless Hampshire sheep on a small family farm. The conservation easement with OBI Land Trust means that the 46-acre property will never be subdivided or developed and that ecological features will be protected, including woodlands, a large pond and cattail marsh of nearly 10 acres. Grassland at the Potter Easement. Less than two miles away from the Perch River Wildlife Management Area, the open, undeveloped property provides an important “buffer” for wildlife by offering a corridor or protected land for feeding and nesting. The Potter property is included in a portion of Jefferson County designated as an Important Bird Area by Audubon New York. Bobolink, Eastern Meadowlark and Savannah Sparrow are among the species of grassland birds that can thrive in the undisturbed grassland habitat. 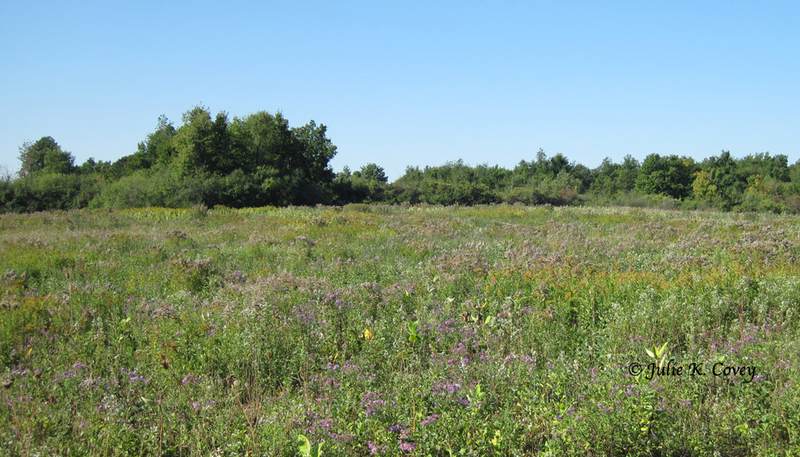 The Potter easement gives special consideration to grassland birds. It prohibits row crops, intensive farming practices and restricts annual mowing to a certain area after August 15, allowing grassland birds time to raise and young and leave their nests. The open space and rolling hills were part of what drew the Potters to the small farm in 1967. 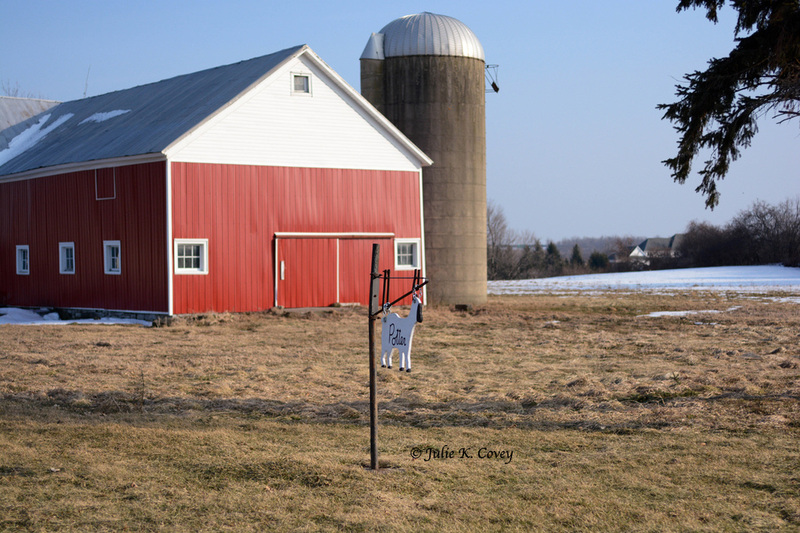 The red barns and silo are quaint reminders of their farming years where many memories were made. Each spring, school buses delivered elementary school children in field trips, eager to hold a baby lamb and watch Mr. Potter shear wool. 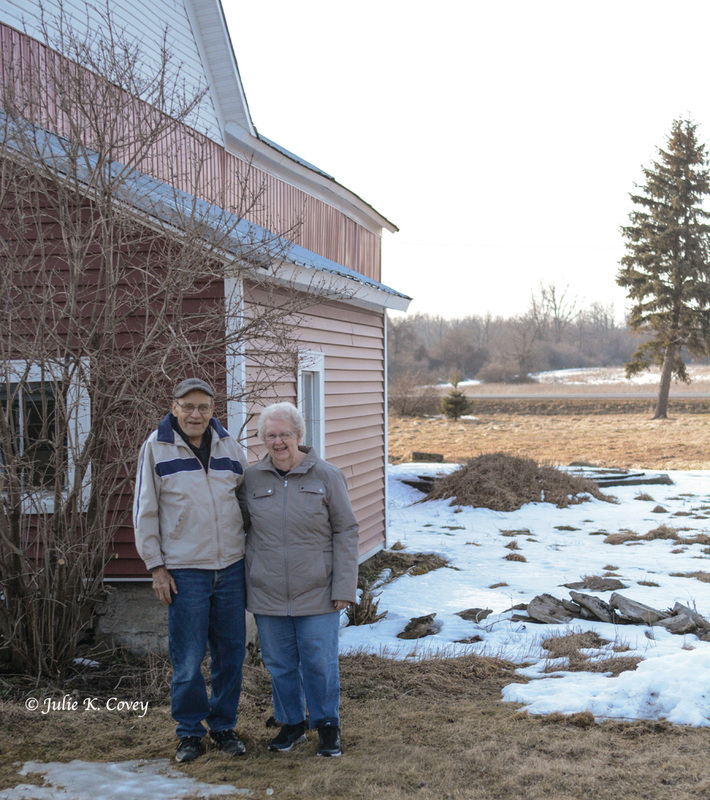 Their 50-plus year history at their land included raising sheep as well as cows, rabbits and pigs. They put up birdhouses, planted large vegetable gardens and built a pond and stocked it with bluegills and bass. The couple said it seemed to just make sense to preserve the place that has brought them so much joy rather than risk it being developed. Harry and Sharon Potter - owners of the Potter property. Affectionately called “the original Harry Potter,” the late Harry E. Potter of Pamelia was a native of Maine whose long career as a soil conservationist gave him the perspective to appreciate the value of land protection when it came time to think about the future of his family’s farm. Harry and wife, Sharon, signed their conservation agreement with OBI Land Trust in early 2016 and quickly joined the family of our non-profit land trust, attending our annual summer cookout and joining us to celebrate our organization’s 25th anniversary in the summer of 2018. Harry passed away in December 2018. He spent nearly 30 years as a soil conservationist, nearly 20 of them as District Conservationist in Jefferson County for the U.S. Department of Agriculture. Harry was very active in the Brownville United Methodist Church and in other community and professional organizations. He was a member of the Masonic Lodge and served as Chairman of the Town of Pamelia Planning Board for many years. He also was Chairman of the Jefferson County Soil and Water Conservation District Directors for several years and served on several agricultural boards.